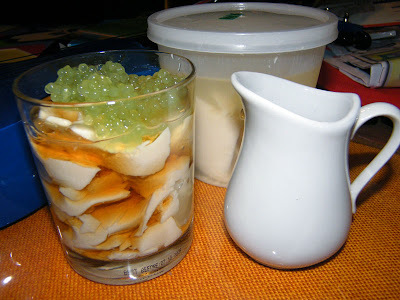 Taho: a popular Filipino street food made from healthy soft tofu. One couldn't help but take a trip down childhood memory lane while enjoying this sweet treat! The street vendor would roam the streets with two cannisters hanging off the ends of a pliant piece of wood slung over his shoulders as he shouts "tahoooo!" We would all stop from our street games and run off home to get a bowl and some loose change from our mother to buy taho. While there are no taho vendors roaming the streets of Wellington, you can now have some at home. Aside from the fresh veggies, there's one other reason to visit the weekend market at Johnsonville School: soft tofu in tubs! Asian stores would have this in stock too. Bring 1/2 cup water to a boil. Mix in the brown sugar and mix thoroughly. 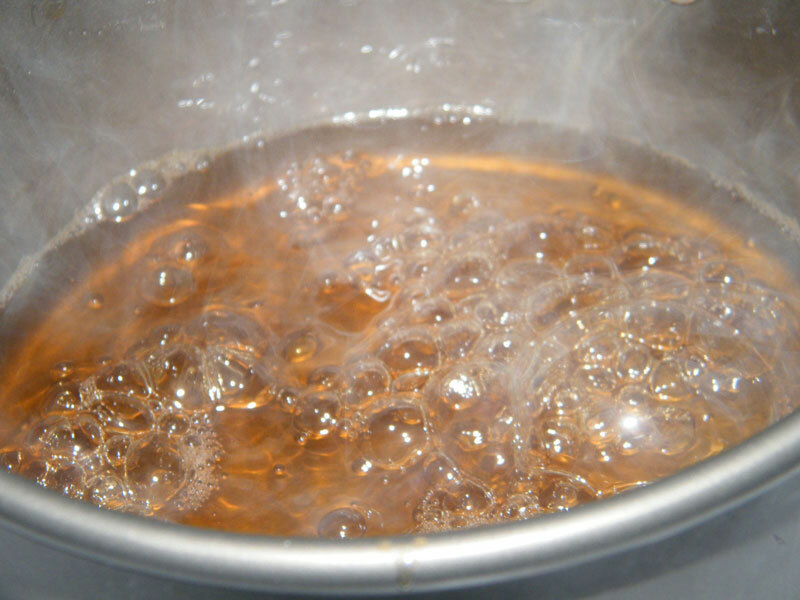 When it starts to boil, stir continuously to avoid getting a burnt sugar taste. Cook for about 4 minutes then let cool. Boil enough water to submerge the tapioca pearls. 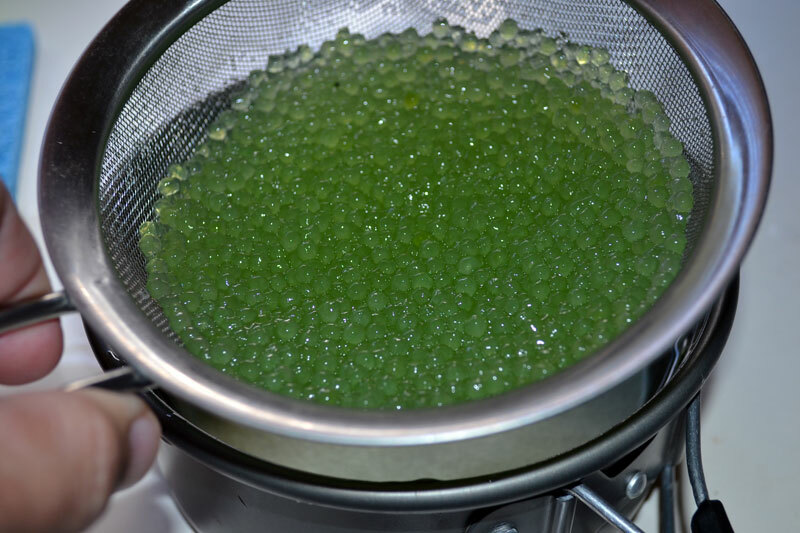 Dunk the tapioca in and stir slowly and continuously. When the water becomes too low for the tapioca to swim in freely, just add more. 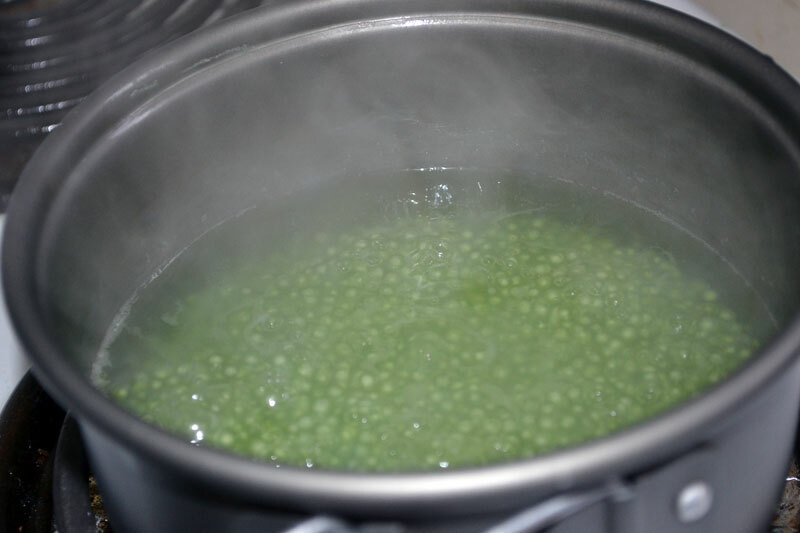 Continue cooking and mixing until the pearls are more transparent than solid white. 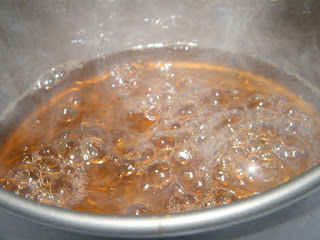 Run through cold water to stop the cooking, and soak in cold water when not in use to prevent from sticking together. Assemble your taho: Spoon out the soft tofu into your glass or bowl, water drained off as much as possible. Pour in the syrup, top with tapioca pearls. Warm up in the microwave if desired. Enjoy.